Entertain your group with an unforgettable cowboy adventure. 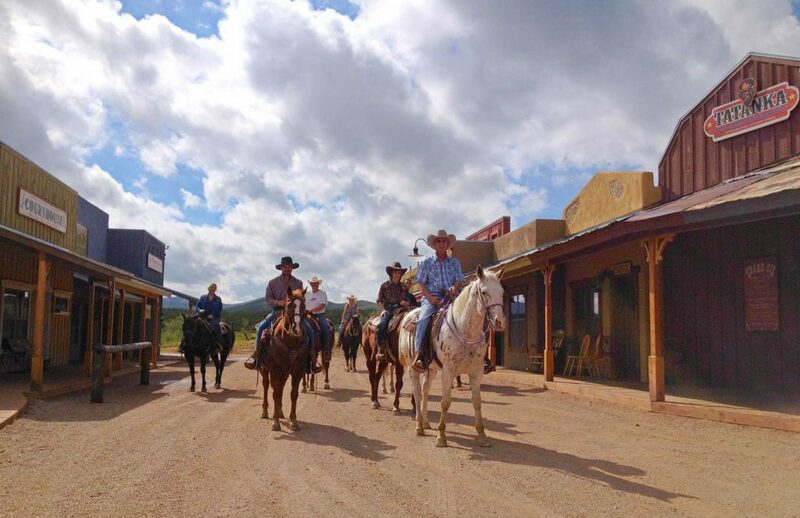 Here at Monument Ranch we can provide an experience which will allow you to discover the Old West in our western town setting with a backdrop of mountain views. This is a real opportunity to test and develop your team. We offer an exciting cowboy-style experience by teaching your group how to track through the desert. The first two days focus on learning tracking skills and the last day is all about the adventure of tracking the ‘outlaw’ down on horseback. All activities will be led by our wranglers who combine experience, wisdom and humour to make sure your group has an unforgettable time.